The most prominent feature on the D5400XS is of course the 2 processor sockets. These sockets are LGA771. The D5400XS comes with a socket retention mechanism that allows using heatsinks designed for the more common socket LGA 775, thankfully. 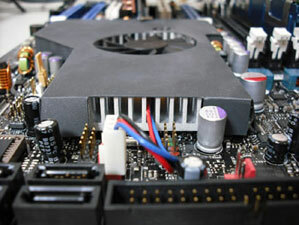 The MCH is covered by a large but unsophisticated aluminum heatsink. 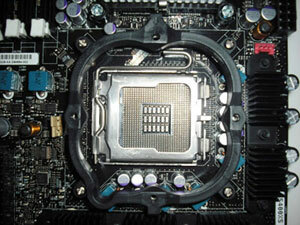 Such simple MCH cooling is very unusual these days, and does not befit a “high performance” board. But at least a bracket is provided for the optional installation of a fan. The Southbridge and the 2 nForce 100 bridges are covered by a large, flat aluminum heatsink with a noisy 40mm fan in the center. The D5400XS supports multi video card configurations with both CrossFire and SLI. It comes with 2 nForce-100 bridges that each connects to 16 PCIe lines coming off the MCH. The results are 4 x16 slots in total. Although the MCH itself is PCIe 2.0 capable, the nForce-100 is still 1.1. That does not matter much though because newer PCIe 2.0 cards won't be able to take full advantage of their own bandwidth capabilities. 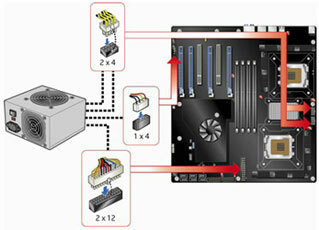 As there are four usable PCIe x16 slots the D5400XS supports not only 2-way, but also 3-, and 4-way CrossFire. 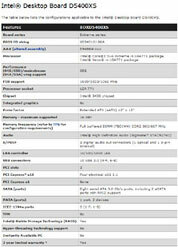 SLI support however is limited to 2-way. The D5400XS has no legacy ports. The back panel features 2 eSata, 1 x LAN, 6 x USB, 7.1 surround sound with Dolby audio, and 1 x 1394 (Firewire) port. The board is sporting a power and a reset button on the PCB as well as a POST indicator. These overclocking friendly features are not new, but they show that the D5400XS is aiming at enthusiasts. 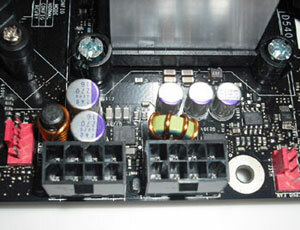 The support of 2 processors requires a larger PCB with the form factor EATX. It measures 330mm x 305mm. 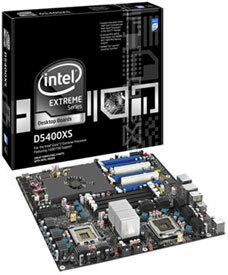 The D5400XS might therefore not fit into all cases designed for standard ATX mainboards. For dual processor operation, the D5400XS is outfitted with 2 x 8-pin 12Volt power connectors. Intel is recommending at least a 1000 Watt power supply unit when running the system with a single video card, and a 1300 Watt unit when running Crossfire or SLI. “Skulltrail” is based on the D5400XS mainboard and 2 QX9775 processors. 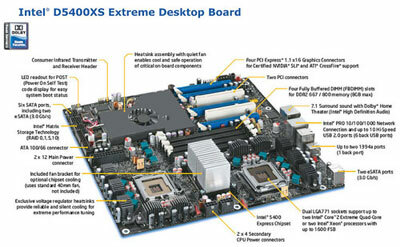 However, for dual quadcore computing there are other combinations possible as well. 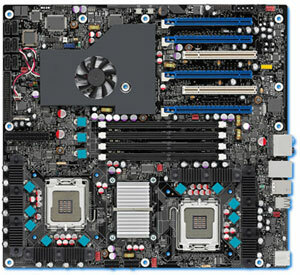 There is at least one more dual processor desktop mainboard available that is using the 5400 chipset: The Asus Z7S WS. 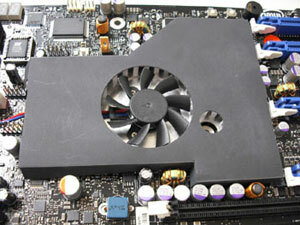 Unfortunately the Asus Z7S does not support SLI and the sockets require the use of LGA 771 heatsinks. D5400XS and Z7S WS run not only with the super expensive QX9775, but with lower clocked and much cheaper quadcore Xeon processors as well. It is therefore possible to build an 8-core desktop system for far less money than Intel’s “original” Skulltrail system as we are testing it here. As already mentioned the D5400XS requires fully buffered DDR2 DIMM modules. Their peculiarity is a serial transfer bus between the memory chips and the memory controller. 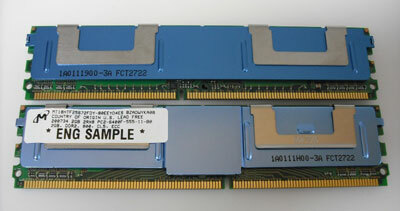 Unbuffered DDR2 memory chips communicate in parallel with the controller. The D5400SX will not run with unbuffered DDR2. 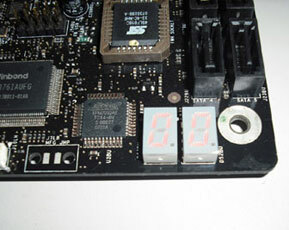 The memory chips on the FB-DIMM module connect to the serial bus via an additional device, called AMB (Advanced Memory Buffer). The 5400 chipset has 4 FB-DIMM channels, providing in theory 38.4 GB/sec peak bandwidth between memory and controller when using DDR2 800. This is impressive, but wasted. The reason: The 1600 MHz front-side bus between the CPUs and the memory controller has a peak bandwidth of “only” 25.6 GB/sec, and thus acts as “bottleneck”. Furthermore FB-DIMM memory has a much higher latency than unbuffered memory because of the buffer between RAM chips and controller. And finally the AMB adds up to 6 Watt per module to the power bill. But even that is not the end of the negative news: FB-DIMM memory is difficult to get and more expensive than regular DDR2. For server and workstation platforms FB-DIMM make sense because they allow implementing more memory sockets with a total of 128 GB memory, and that outweighs the disadvantages mentioned before. But for desktop computing this memory type is a suboptimal solution. Enjoying this article? Feel free to Digg it!